Stay in Sicily's best hotels! Featuring a terrace and fitness center, Camplus Guest Palermo offers modern air-conditioned rooms in Palermo, 984 feet from Palazzo dei Normanni. Nice big rooms, friendly staff. Offering free WiFi throughout and a summer outdoor pool, Airone City Hotel is in Catania, 2.5 mi from its historical center and Piazza Duomo. Staff at front desk were very friendly and helpful in printing documents for me, Staff at restaurant were very polite and friendly, room size is big comparing to other local hotels, new and clean hotel everywhere, bed is comfortable, shower’s water is excellent - hot enough and strong, balcony is nice to have to get fresh air, good to have complimentary drinks in the room, very nice decorated swimming pool and backyard. With a garden, Habitat is located in the center of Catania. Free WiFi access is available in all areas. Each room here will provide you with a flat-screen TV and air conditioning. Very unique and special hotel, and while it is under some renovations, there is no issue with the accommodations. Beautifully designed room, wonderful breakfast with fresh, local food, all excellent!!! Staff was very nice and very helpful. When their renovations are done it will be beautiful! Located in Catania's Via Etnea, Palace Catania | UNA Esperienze features a rooftop terrace with a bar, restaurant and unforgettable views of Mount Etna. It has 24-hour staff and modern rooms. Excellent aircon because it was very hot outside. The roof top bar and views of Etna were fantastic! We went there every night! Absolutely loved staying there! Set in the heart of Siracusa, Hotel Teocrito offers air-conditioned rooms with satellite channels and high-speed internet connection free throughout. A 24-hour concierge service is available. good location, super friendly staff, good breakfast. clean, cozy. great value for the price. free parking on street. fully recommended. QuattroCuori Room & Relax in Portopalo features a shared lounge and a bar. With free WiFi, this 4-star hotel offers a tour desk. Nice room with small private pool. All in great condition. Breakfast quality is worth mentioning, bravo. Very good tips from owners regarding restaurants, visits and beaches. Go to San Lorenzo. Sopra Le Mura is located in Castellammare del Golfo, 27 mi from Palermo. Guests can enjoy the on-site bar. Free WiFi is featured throughout the property and private parking is available on site. Beautifully designed hotel! Very helpful and friendly staff. Palazzo Melfi offers elegantly furnished rooms in the historical center of Comiso. Ragusa is 9.9 mi from the property. Free WiFi is provided throughout the property. Very nicely renovated old building right in the main square. Featuring an outdoor pool, restaurant and spa, Kepos Etna Relais & Exclusive Spa is located in Santa Venerina. It also features a sun terrace and free WiFi. The staff was exceptional and owner was around to see if everything was fine. Located along Messina's main shopping street, 1.2 mi from the G. Martino Hospital, Vmaison Hotel features air-conditioned rooms, a restaurant and a terrace. Breakfast was plentiful, well exposed and of excellent taste. The room is spacious and very clean. Duomo Suites & Spa is set in the City Center district in Catania. Guests can enjoy the on-site bar. Each room at this hotel is air conditioned and is equipped with a TV. Gorgeous hotel, we will defiantly be back! Located in Palermo, 1.1 miles from Palazzo dei Normanni, Albergo Cavour provides air-conditioned rooms and a shared lounge. This 1-star hotel offers a 24-hour front desk, room service and free WiFi. The staff is incredibly nice and friendly. They give you nice tipps is you ask them anything. A 5-minute walk from Trapani Harbor, Central Gallery Rooms offers modern-style and colorful rooms with air conditioning and SKY channels. Great welcome, amazing location fabulous room. Hotel Trapani In offers modern air-conditioned rooms in the historical center of Trapani and opposite the pier where ferries to the Tremiti Islands leave. Extremely kind and helpful hotel owners. Attitude to guests is a Four Seasons to dream about. Casa la Carrubbazza is located in San Gregorio di Catania. It offers free WiFi in public areas and rooms featuring exposed-beam ceilings and air conditioning. Wonderful stay, everyone was very friendly. Enjoyed our stay very much. With a garden overlooking Mount Etna, this 3-star hotel offers classic style rooms. La Fucina di Vulcano features a terrace, restaurant, bar and free Wi-Fi in all areas. Great location. Modern. Clean. Perfect. Just 820 feet from the Mediterranean Sea in southern Sicily, the 3-star Hotel Don Giovanni is just 0.9 mi from the center of Avola. It features modern rooms, free Wi-Fi. Very clean small hotel, just near the perfect beach. Amazingly friendly and useful staff. Scicli Albergo Diffuso offers uniquely decorated rooms in different locations of Scicli’s historic center. Set in southern Sicily, these rooms are approximately 5 mi from the beach. A perfect experience from check in to check out. With a large rooftop terrace overlooking the Mediterranean Sea, Domus Mariae Albergo is right on Siracusa's seafront. Reception staff charming and very helpful. Large comfortable room. Set in the Sicilian countryside, La Dimora di Spartivento is a 19th-century manor house 3.1 mi outside Ragusa. It features a large garden with swimming pool and children's playground, and free Wi-Fi. Absolutely lovely, comfortable rooms, very cared for garden and pool area. Breakfast was to die for. Porta delle Botteghelle is in the historic center of Trapani, just 328 feet from the beach and a 5-minute walk from the harbor. It features a panoramic elevator, free Wi-Fi and a tour desk. The hotel is in a great location to go to the beach or walk through the beautiful city. Set in the historical center of Palermo, this colorful 2-star hotel offers air-conditioned rooms with free Wi-Fi and a private bathroom. Excellent central location in Palermo. Giuseppe - our Host - was welcoming and very helpful. The Antichi Ricordi is set in the historic center of Caltanissetta, a 5-minute walk from the main bus and train station. Free Wi-Fi is available throughout. great location. Large clean room, good bed, Good Consierge that arranged THE one Taxi in town. 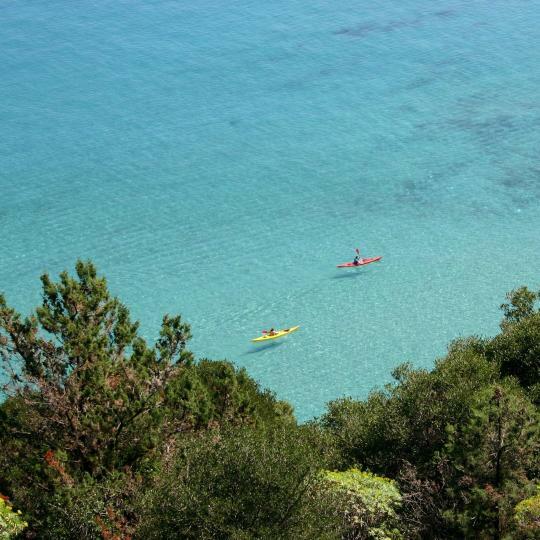 Just 164 feet from Punta Barone beach, I Cinque Balconi is 656 feet from the port on the island of Salina. It features air-conditioned rooms and a large garden with lemon trees. owners were very welcoming, breakfast and restaurant were great, and the rooms were terrific. 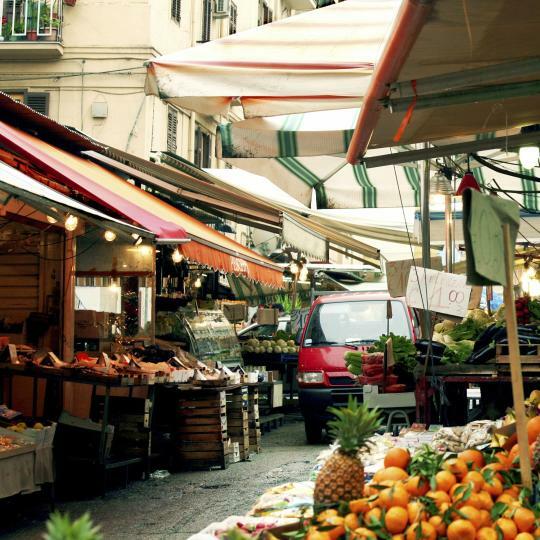 Spread over 5000 m², this must-see market is open from Monday until Saturday and gives you an insight on Catania’s picturesque folklore. 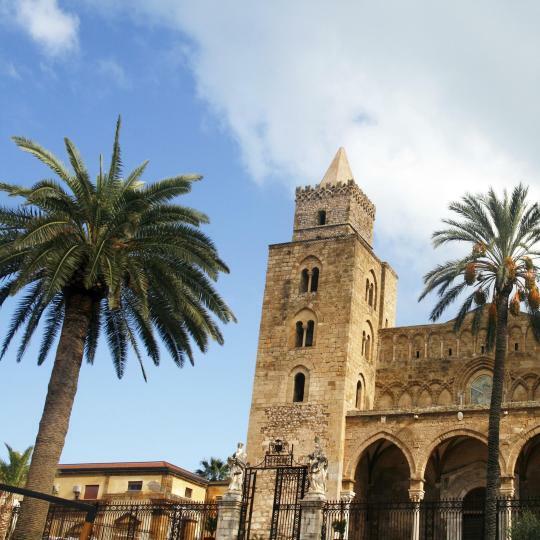 Art lovers are in for a treat at this well-preserved Norman Cathedral, featuring magnificent mosaics and other fine examples of Byzantine art. 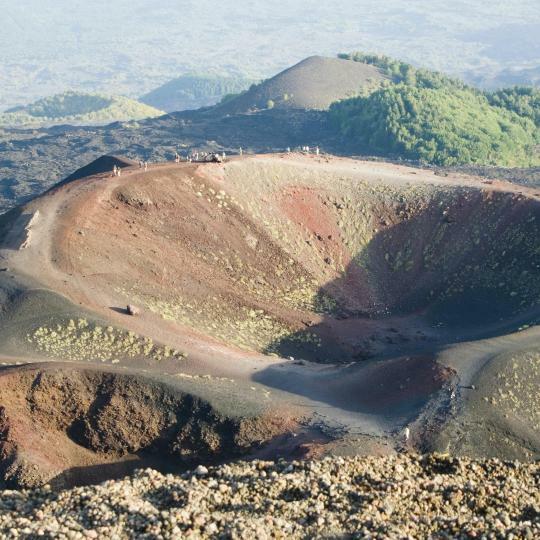 Join one of many excursions to Mount Etna and let the guide tell you more about the history of this active volcano. 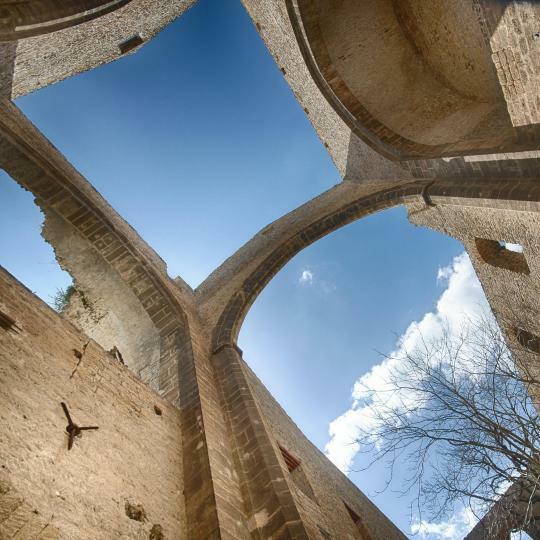 The mysterious and unfinished Church of Santa Maria dello Spasimo in Palermo hosts an array of art exhibitions and music events. 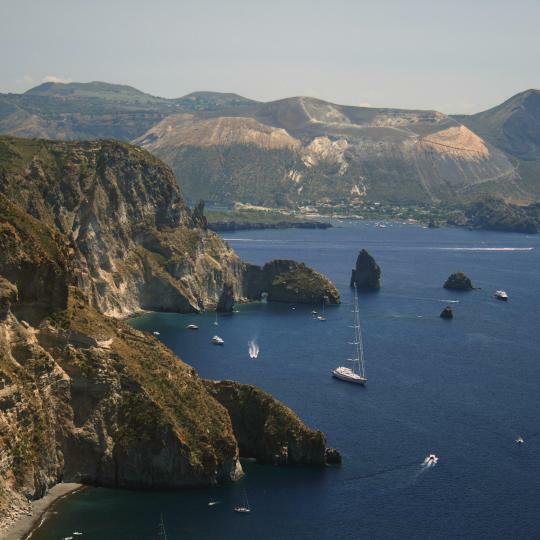 Pantelleria, Ustica, the Aeolian Islands, the Egadi Islands and Lampedusa are a must-see and feature plenty of local restaurants and beautiful beaches. 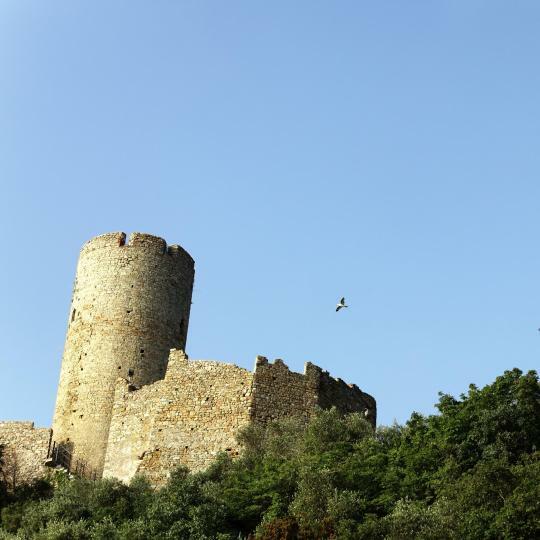 The 13th-century Ursino Castle was built to protect the city and is currently a museum hosting art exhibitions by local emerging artists. 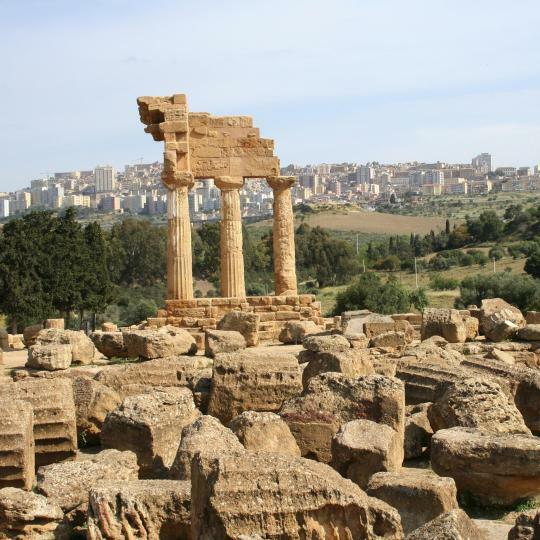 Agrigento, with its ancient Greek temples and the archeological site of the Valley of the Temples, is definitely a must when visiting Sicily. The Aeolian Islands and especially Vulcano Island with its grottos and natural pools are great for kayaking and other water activities. Home to a rich variety of animals and plants, this nature reserve features many walking paths, picnic areas and museums. 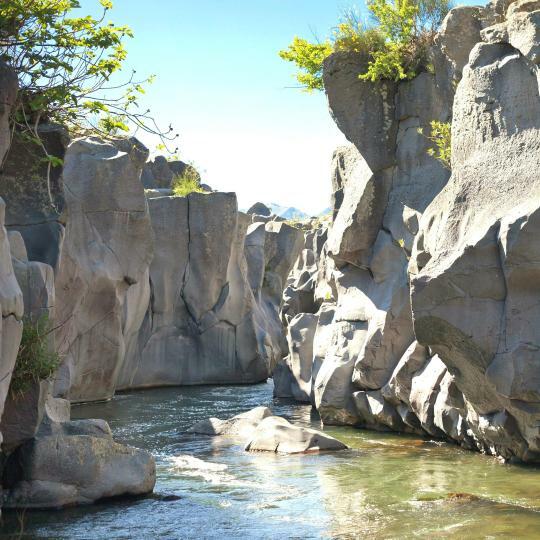 The Alcantara River and the beautiful Alcantara gorges create the perfect natural setting for activities such as kayaking, canyoning and body rafting. Visit the old city centre which is a maze of narrow lanes and stairs. Go into the churches. The Greek Temples are in a lovely spot but very large so take your time. You would really have to work hard to eat badly in Sicily so don't worry about trying a place of the main drag. We used Catania as our arrival and departure point for Sicily. The airport made for a problem-free travel experience and allowed us multiple options for experiencing Sicily. If you want to go to Scala dei Turchi, take a taxi near the Valle dei Templi - it is closer than Agrigento itself. Two ways price is usually 60 euros, you can try to get the same offer for 50 euros (taxi driver offers to wait for you for an hour). You can try to go to Scala dei Turchi by bus - to Realmonte and then walk for 40 mins, but be aware that it can be too hot for such walk + buses don't go there on Sundays and Holidays. Valle dei Templi is close to the town - you can take a bus (#1, 2, 3) near the Central Station. But on the way back a bus doesn't go directly to Agrigento - it goes near beaches and it takes around 1 hour to get back. In this case, you can just walk back (2,5 km). Or of course, take a taxi. Dinner in Agrigento can be pretty cheap comparing to other town and cities of Sicily. Agrigento town is 200 meters from the railway station. Agrigento town is 200 meters from the railway station. We had a good lunch at Pitito restaurant which is located near the station. The bus station is nearby up the hill from the restaurant. The Valley of the Temples was a highlight of our trip to Sicily. Catania is the second largest city in Sicily. Catania is the second largest city in Sicily. While not as cosmopolitan as Palermo, the capital and largest city, it has a lot to offer — authenticity, beautiful baroque architecture, etc. We ate in a genuine family-operated restaurant. For 15 euros, the appetizers just kept coming. And the grilled chicken and steak were delicious. Sant'Agata di Militello is the hometown of my grandparents who immigrated to the US over 100 years ago. So it holds a special place in my heart because of extended family who live there.. 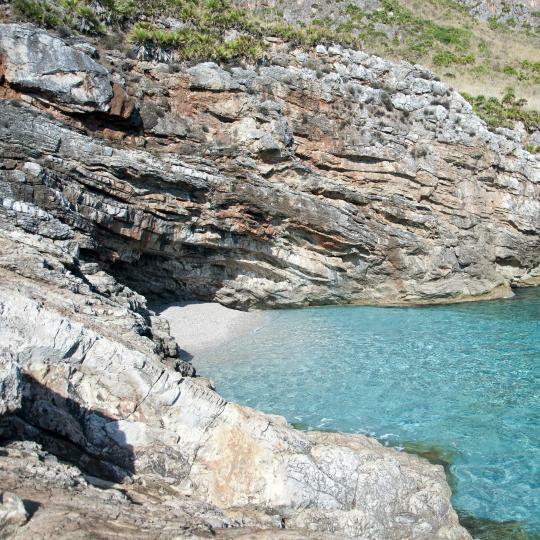 It lies on the north coast of the Tyrrhenian Sea between Cefalu and Messina. It has a 16th century Spanish castle on the main square, Castel Gallego that is a must see.. We loved the beautuful Duomo that dates from 1840's.. Our hotel was the 17th century Palazzo Fortunato, now a very modern boutique hotel.. The owner has done a fantastic internal remodel that was by far the best place we stayed in Sicily.. The restaurants were terrific.. very reasonable cost.. but mostly we just fell in love with the warm and gracious people of this commune. It's easily accessible by train from Palermo or Messina. We did a day trip to Cefalu by train.. It's a very walkable town.. no car needed. The passagiata on Sunday evening and the sunsets over the seaside, the Nebrodi mountains that rise up behind the town..make it a great place to relax and mingle in an non/touristy setting.. The lical people are very proud of their commune and are making excellent progress in restorations and improvements to this special place..
Catania has a personality all of its own. Catania has a personality all of its own. The fish market is a sight every traveler must see and Ursino Castle is a delight. The Roman theatre is there for those who enjoy exploring history. The food and wine of Sicily are outstanding and the produce of the volcanic earth adds something special to local produce. Culture, sun, food, wine, history and shopping. What more could you want? I used to wake up very early in sicily and have to drive like a mad man for several hours to get to Palermo airport. Now I spend my last evening relaxing in Cinisi get a good meal and a nights sleep and wake up 10 minutes from airport. The apartment is huge and in the perfect location for sightseeing and dining right across from the Theatre Massimo. The apartment is beautiful and is well laid out and had both a nice bedroom area and separate living room with a comfortable pull-out couch. The bathroom was large and has a great shower. There are two télévisons as well as books on sicily in several languages. Marco who met us and showed us the apartment was helpful and showed us a great little street for delicious and affordable dining. My wife and I just returned from a week-long Sicily vacation. We took one of the smaller rooms in this hotel, and were very pleased. Quiet, even though it faced the street. Beautiful large bathroom with tub. Plenty of space for our luggage and clothes in the room. Beautiful pool and sea views. After dinner, head to the piano bar for a delightful evening. Luxury accommodations. Great breakfast. Valet parking. Not too hard to drive yourself from the airport if you rent a car. Alessandro the owner really goes out of his way to make you feel at home. From the minute you walk in to your check out, he really takes pride in his hospitality and it shows. The place was an old part of a church that was converted to a B&B, it must be experienced. It had the most comfortable bed I slept in during my trip in Sicily. The hotel has so much to look at, I swear, you can spend a whole morning in Palermo just looking at the inside of this place. HIGHLY recommend it. First of all Antonella is a very personable Hostess! We enjoyed her introduction to the apartment, the area, and her many stories of growing up in Sicily! We wanted the experience of staying in a Palace, and that's how we felt! Truly an amazing atmosphere. The apartments we stayed in were all Beautiful, Unique, Spacious, and generously appointed. We only stayed one night and wished we had more time to enjoy the luxury... Thank you for a lovely stay, we hope to return! It is a beautiful hotel. Our room was perfect. The view was amazing. I loved the tile In the bathroom. It was the best hotel in our 2 week trip to Italy and Sicily. The breakfast was fresh and good. Staff was friendly, helpful and spoke English, location was excellent. I have nothing negative to say. If you are going to Sciacca or to the Valley of the Temples or anywhere else in the area, this is the place to stay, you will not be disappointed. The hotel room is brand new and really nicely decorated. Room's space is perfect with a huge closet and a huge shower. Really comfortable stay. The hotel invironment is really nice. With its own garden and separate entrances to the rooms. Really quiet. Breakfast is really good. With all the options of salty and sweet food. It turned out to be the cheapest staying during our trip in Sicily and also the one with the most comfortable experience. Clean and neat with all necessary apartment requirements. Proprietor available, but didn’t need her. Restaurants and shopping info available, but street signs and street layout were difficult to navigate. Found on our own the best restaurant that was better than any that we ate at in our entire three week trip in Italy and Sicily, Giovanni Verga Trattoria Had a wonderful guides who were geologists in our tour of Mt Etna and Alacantra River Gorges. The location was a perfect starting point to explore Palermo (and to get to the train station for exploring other cities in Sicily). Airport shuttle is just around the corner. The surrounding areas were nice and you can easily find places to eat within walking distance. The apartment was clean, modern, and cozy. Nice lighting, well equipped with kitchen utensils (you can cook!). We felt at home instantly, everything is so nice! New renovated apartment very close to the city center of Noto, very good base to explore nearby attractions on Sicily . The apartment is fully equip with with cooking machine, big refrigerator, washing machine, climatic, WiFi available and free parking on the front of propriety. The owners are very friendly give us all needed information. Definitely was the best apartments during our trip in Italy, that you can book with trust. Mariella was an excellent host and very accommodating of our schedule. She met us upon arrival and gave us all sorts of great tips about where to go and what to do in Palermo. (She also gave us excellent tips for our visit throughout the rest of Sicily.) The apartment has everything you need for a comfortable stay. It's also located right above the fish market if you prefer to prepare your own meals. The apartment is just WOW. Our host was very receptive, anything we needed was accommodated by her at all times. The place is very luxurious and spacious. It was one of the best accommodations that we've had in Sicily. The apartment is fully equipped, from laundry washing machine to coffee kettle. Location is very central, you're in the reach of everything in couple of minutes. The hotel staff were very helpful and kind. I had left my passport behind in Cefalu, and they helped me to get it delivered to the Quintocanto within a few hours. The restaurant, Locanda Gusto, in the same building as the hotel is great. The food was the best I had in Sicily, and the staff very professional and helpful. Francesco in particular was extremely kind to us. This was one of my best stays in Italy/Sicily. The apartment is stylish, modern and has every comfort. The bed was very comfortable and the bathroom is very modern with a big shower. The place is very well fitted out and the view of the La Cala Marina from the apartment is fantastic! We liked the secure parking on site, the comfort of our hotel room, and the huge buffet for breakfast. (It was the most lavish breakfast we had in Sicily!) The staff was friendly and check-in/check-out was easy to do. The room is super luxurious and well decorated. The hotel is super well located, making it very easy to visit Syracusa. This is one of the best hotels we had during our Sicily trip! Convenient for my needs for the one night I stayed. Everything was clean and room was very nice!